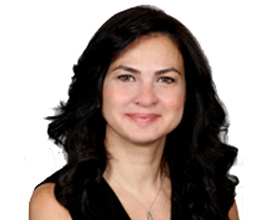 Samar Khalil graduated from the American University of Beirut in 1994 with a BE in Computer and Communications Engineering. She started her career in 1995 at GlobalCom and held successive positions where she handled mission-critical projects in the Broadband Network Management, Network Design & Implementation and Internet fields. She spearheaded the introduction of the first country-wide MPLS network in Lebanon, the first wireless network and played a central role in designing and implementing a comprehensive Quality of Experience and Monetization strategy in the GlobalCom network. Her expertise in Networking and in Information Technology garnered through her work at GlobalCom Holding, is proving invaluable in overcoming the technical and market challenges in Lebanon.